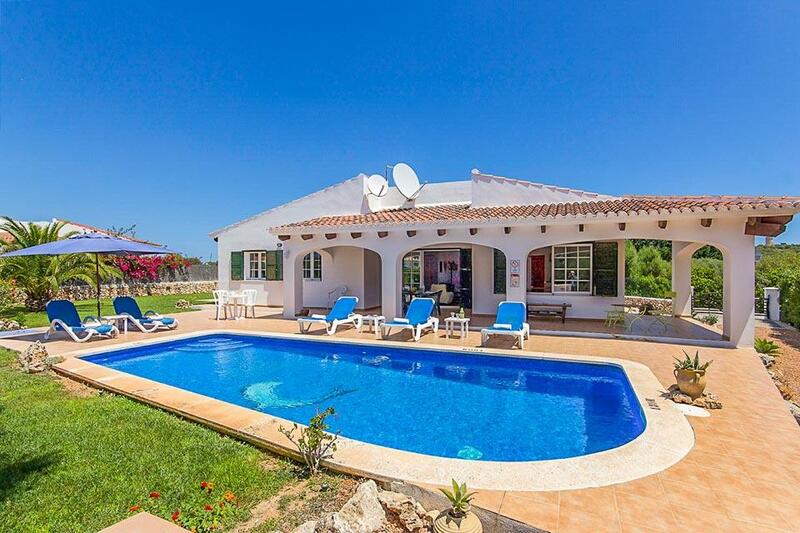 Casa Tortuga is a delightful detached villa located in the popular beach resort of Binibeca Nou, on the south coast. The villa is in a quiet location and is not overlooked. With plenty of lawns and open terraces there is plenty of room for the whole family to relax or play! The house has been tastefully decorated and is well maintained by the Italian owners. Villa had a lovely home from home feel about it. Great location! The villa was well presented and had everything we needed for a comfortable stay. The area around the pool and gardens are lovely with plenty of room too. The location was extremely peaceful and was close to restaurants and the little supermarket. We were so happy with all that the villa had to offer, we spent the majority of our time there. Good location 'spacious.bbq in wrong place fire risk so we didn't use it 'neighbour would like to see it moved away from his fence. villa was perfect for family. It was clean, well equipped, in excellent order, well maintained. pool cleaned twice during our stay, lovely gardens, good number of sunbeds and out door furniture. pool was perfect, especially with shallow end and steps for? We stayed in the villa for 10 days and had a comfortable stay. There is plenty room for 6 guests and the villa was well equipped for self catering. Nice large pool and sun bathing area. Rated: Good. We stayed in the villa for 10 days and had a comfortable stay. There is plenty room for 6 guests and the villa was well equipped for self catering. Nice large pool and sun bathing area. Good - Casa Bruna is situated in a quiet cul de sac and the villa is set in lovely grounds complete with a brick BBQ. There was room to park our hire car on the drive and the gate to the drive added to the secure feeling of the villa. There was superb outside space which I would give 5*. Lovely pool and sun terrace with plenty of sun beds, tables and chairs. The shaded terrace was ideal for eating our meals and came complete with a table and four chairs. The kitchen is well stocked though with plenty of plates, cutlery and cooking utensils. 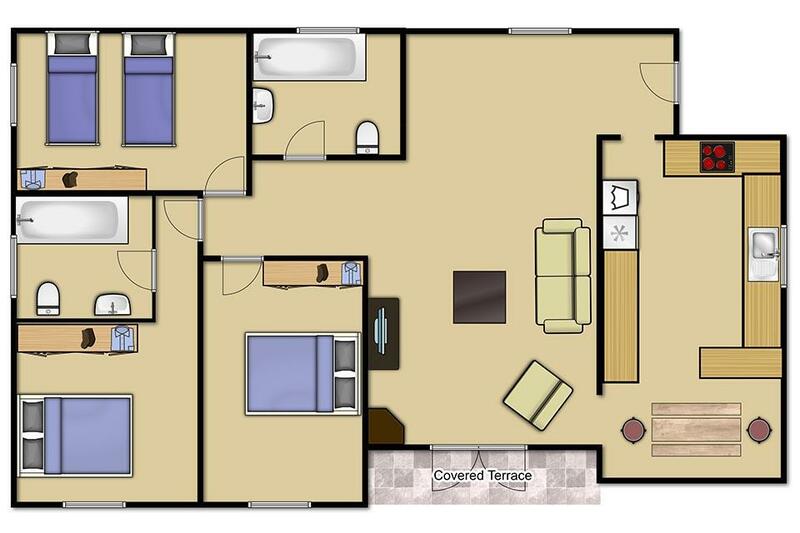 The bedrooms are a good size. During out 10 night stay we had our towels and bed linen changed and also the garden and pool were attended to on at least three occasions which was impressive. We didn't need to contact the local rep but found the Solmar Villa staff in England to be very helpful and friendly at all times. Rated: Good. Casa Bruna is situated in a lovely quiet cul de sac and the villa is set in a well maintained garden complete with a brick BBQ. The sun terrace is large and has plenty of sun beds, chairs and tables, there is also a lovely shaded area with table and chairs, ideal for eating at. There is a good stock of kitchen items and plenty of cutlery, glasses etc. . There are shutters but we didn't use them. We had our towels and bed linen changed during our 10 night stay and the pool and the garden was attended to at least three times whilst we were there. Very impressive. There is space for a car to be parked in the driveway of the villa and a gate which adds to the security. We didn't contact the local rep but the staff at Solmar Villas in England were always friendly and helpful and nothing was ever too much trouble. **Save up to 25% by arriving and departing on the standard changeover day**Tucked away in the corner of a peaceful cul-de-sac on the leafy outskirts of Binbeca, Bini Rachel is a superb and very individual villa. Light an airy, the villa is designed to..
**Save up to 25% by arriving and departing on the standard changeover day**This detached villa is located in a quiet residential area, within walking distance from the beach, shops and restaurants in one of Menorca’s most delightful resorts. Binibeca..
**Save up to 25% by arriving and departing on the standard changeover day**Villa Eclipse is a superb modern villa conveniently situated on the road which leads into the increasingly popular resort of Binibeca. With the beautiful beach, excellent restaurants..